Today, the cell phone is the most widespread technology globally. 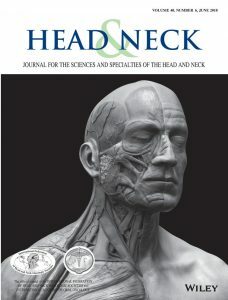 However, the outcome of cell‐phone radiofrequency on head and neck cancer progression has not yet been explored. The chorioallantoic membrane (CAM) and human head and neck cancer cell lines, FaDu and SCC25, were used to explore the outcome of cell‐phone radiofrequency on angiogenesis, cell invasion, and colony formation of head and neck cancer cells, respectively. Western blot analysis was used to investigate the impact of the cell phone on the regulation of E‐cadherin and Erk1/Erk2 genes. Our data revealed that cell‐phone radiofrequency promotes angiogenesis of the CAM. In addition, the cell phone enhances cell invasion and colony formation of human head and neck cancer cells; this is accompanied by a downregulation of E‐cadherin expression. More significantly, we found that the cell phone can activate Erk1/Erk2 in our experimental models. Our investigation reveals that cell‐phone radiofrequency could enhance head and neck cancer by stimulating angiogenesis and cell invasion via Erk1/Erk2 activation.